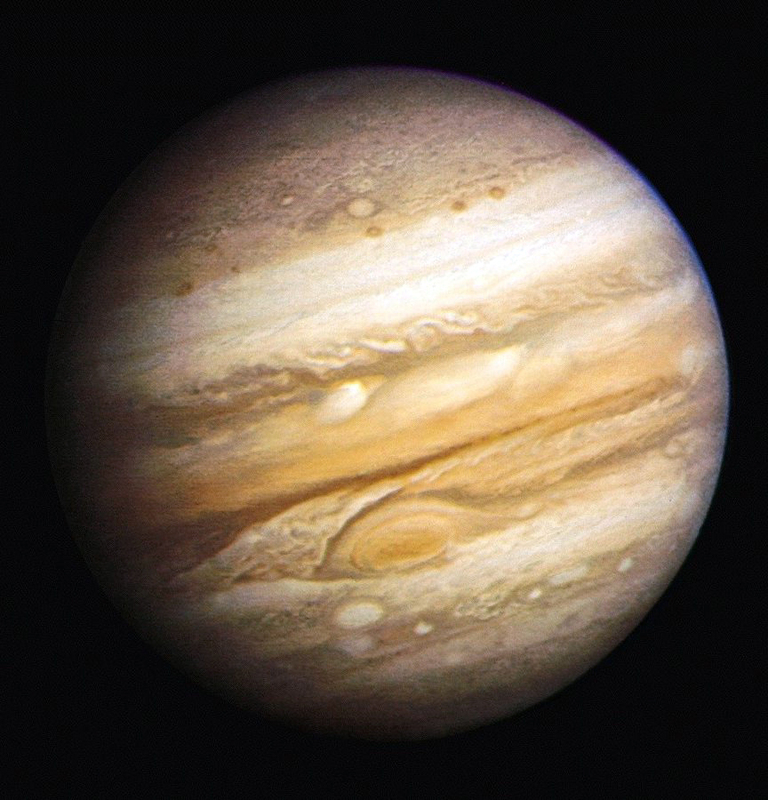 Jupiter is best known for it's giant "red spot" which in an ongoing gigantic storm on the side of the planet. It is also known for it's strips and huge size. Jupiter is a huge reason why we aren't being attacked by meteors right now. The asteroids get caught in Jupiter's gravity and gets launched back in the opposite direction, protecting the inner planets from most of the bigger asteroids. Also, Jupiter is a gas planet, which means it is made up entirely of gases with no solid surface. Interesting stuff! For this look I really wanted to mimic the look of Jupiter, so I went for a literal approach. I mimicked the texture, shape and colors of the planet, choosing warm browns and sharp lines to add contrast. For the lips I chose a nice warm red to tie everything together, I kept the eyes fairly simple with the addition of cat Eyeliner. I got sent "This Is Halloween" along with the Full Metal collection and it is a gorgeous color Caitlyn came up with for her Halloween Collection. It is a warm candy apple red with flecks of gold and copper in it, truly amazing! I love it so much! You used your fullface picture as your Tumblr icon, didn't you? I was wondering about that before, haha! Ha! It took me a good five minutes to realize that you did make up on your face & it wasn't just shadowing, lol. On a side note, I love the lip gloss. That's a lovely literal interpretation! And "This Is Halloween" looks tres pretty; I'm still waiting on my order, but I can't wait to try it and the rest of the Halloween collection! Whoooooah! Gurrrr, that's Crazy with a capital C. I thought it was just sun on your face at first until I saw the second shot. Great job! Oaaaah, this is amazingly pretty!!! Wow! Loveeeee this, you are so talented! Wow, the face is amazing. So weird, but I love it! This is so beautiful! You executed it brilliantly. I think I'm going to try my hand at re-creating this. When I saw the first two pics, I thought you had just brought the design below your eye a bit. But I was amazed when I saw your full face pics! You did a beautiful job! This is gorgeous makeup!! Wow this is really amazing!! You really outdo yourself with each new look. This is by far my fave solar system look, just wow. That almost three-dimensonial shading and highlighting - I could never do that! Lol I know! My best friend said that as well! Thank you so much! The lipgloss smells like candy corn! I love it! Thank you! I would love to see your interpretation of it! Thank you so much Anna!! I am sure you could do something a million times better!! Wow. This is nice! Good job! However, the amount off content alone makes any caveats well-worth the time. This game surrounes thhe capabilities that a PC game would have. slightly different. Our basic bodily functions, general well-being, appearance, enery levels, mental function, emotions, and even our very sanity all depend onn adequate thyroid function. It's really a nice and helpful piece of info. I'm satisfied tҺat yoս simply shqred tnis helpful info ѡith us.